Fnac began operating into new countries with strong growth potential, namely Qatar and the Ivory Coast. At the same time, the Group rolled out stationery corners in almost all its stores in France, and launched innovative new services. Darty offers home repair and same-day delivery for large household appliances and televisions. The brand, which is always at the cutting edge of innovation, is the only one to offer these immediate services. Fnac continued to roll out its strategy plan at a rapid rate by introducing two new product categories (connected objects and unlocked telephony) and innovative new services. It accelerated the increase in its store network coverage via 11 new store openings in France and abroad. Launch of the “Bouton Darty” (Darty Button) to mark 40 years of the Contract of Confidence. This major innovation is a small connected object giving customers who subscribe to the service access to telephone support on all household products purchased at Darty or elsewhere, whether or not they are under guarantee. Simply press the Button for a priority call back which will be made as soon as possible, 7 days a week, 24 hours a day. FNAC was listed on the Stock Exchange (SBF 250) in 2013, and became an independent company. The FNAC Group was henceforth organized as a listed company, with a Board of Directors, an Executive Committee, and Advisory Committees. Artémis was the majority shareholder, and holds 38.7% of the shares and voting rights. 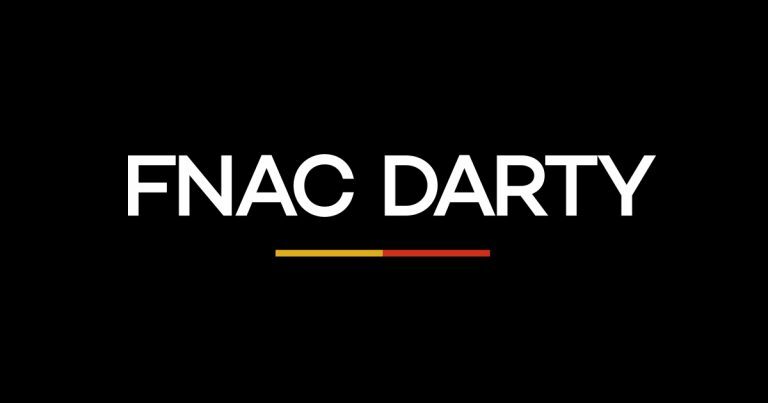 With the opening of its first franchise store in Challans (Vendée), Darty is working towards its objective of serving the 30% of the French population without a local Darty store. Launch of MarketPlace on Fnac.com (a platform that lists over 1,500 partner vendors, who can use the website as a sales interface). This customer recognition card offers customers access on darty.com to all the products they have purchased, as well as their guarantees, instructions and the selection of related goods available. Creation of the first made-to-measure kitchen space in the store. And opening of the first kitchen space in the new Darty store on Rue de Rivoli, Paris. FNAC moved into suburban areas around cities with a new store format. With the DartyBox, Darty becomes a service operator (Internet, Telephone, Television). Darty changes the internal layout of its stores to make customers feel more welcome and improve their shopping experience. FNAC began operating in Italy and Switzerland. Creation of Fnac.com, the Group’s e-commerce website. The Group began operating in Brazil, in São Paulo, in the same year. Darty creates a 7-days-a week technical support line specifically for its multimedia customers. François-Henri Pinault became the Chairman of Fnac. Darty launches its first website (which would go on to become a retail site three years later). 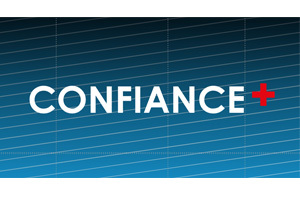 Customers making purchases on www.darty.com or over the phone enjoy the benefits of the Contract of Confidence. Crédit Lyonnais sold its interest in FNAC to PPR (which became Kering in 2013). After Belgium, Fnac began operating in Spain, in Madrid. The Crédit Lyonnais Group became Fnac’s majority shareholder. In 1993, Darty joins the European Kingfisher group which, following a demerger in 2003, becomes Kingfisher Electricals SA (KESA). During these years, Darty adapts its range of services to meet new customer expectations by becoming a retailer of multimedia solutions and developing its darty.com website. It also develops the internal design of its stores. Darty is the first retailer to sponsor a television show - the weather. This sponsorship continues today. In April 1988, the management team takes the initiative, with the support of the founders, to launch a takeover bid to enable Darty employees to assume ownership of their own company. The operation is a success: 90% of the 6,521 employees take part, taking control of 56% of the capital. This is still the largest MBO (Management Buy-Out) operation in Europe. Acquisition of a 49% stake in the company New Vanden Borre, a specialist retailer in household electrical appliances in Belgium. At the end of 1988 Darty opens its 100th store. The GMF Group became Fnac’s main shareholder. A company providing the supply and management of spare parts and accessories for household electrical appliances. Partnership with "Envie", an aid network for social integration through work in the restoration and renovation of end-of-life equipment. Fnac began operating in Belgium, in Brussels, and launched Fnac Voyages. Fnac was listed on the Stock Exchange. The Fnac Forum des Halles store opened its doors. The share price is 300 F. A third of the capital is opened to the public. Darty now has 20 stores and 1,845 employees. This is the surface area of Darty's Mitry-Mory warehouse, the largest in Europe in the household electricals business. Darty has 1 warehouse, 11 stores and 908 employees. Its 45trucks make 400 deliveries a day. The third Paris store opened in Montparnasse. Books appeared on the shelves. The store hosted the first forum, an area dedicated to discussions and cultural encounters. Launch of the "A bottle of champagne if you find a cheaper price elsewhere" operation, in support of article 2 of the Contract on reimbursing price difference. For the very first time, a retailer makes a commitment in writing to guarantee its customers price, choice and services. This contract becomes the company's identity, involving all employees. Fnac opened its first regional store in Lyon, and created its test laboratory, a unique concept for a retailer, in the same year. Darty now comprises 7 stores and 318 employees. Opening of the second store in Paris, on Avenue de Wagram. Creation and installation in Pantin (93) of the subsidiary CAPROFEM, a wholesaler in household electrical products. 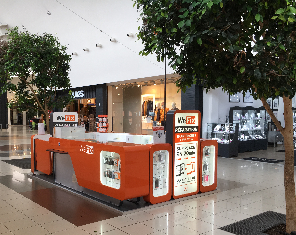 In May, opening in Bondy (93) of the first department store specializing in household appliances over an area covering 800 m². Creation of the first after-sales service. Opening of the second store in Paris, in the Belleville district. The first record department was created. The first store opened in Paris, on Boulevard de Sébastopol. "A customer is only satisfied if the product he buys works and provides the services he expects of it": this is the conclusion of young brothers Natan, Marcel and Bernard Darty based on close contact with the customers. This statement would go on to form the basis of their marketing policy. In the months that follow the creation of the brand in 1957, they therefore offer low prices, and fast delivery and repair. The first few years are therefore devoted to learning and putting into practice the golden rules of commerce, and to developing the family business in Paris and the surrounding area. The Darty brothers, who started out in the textile industry, open their first retail space in Montreuil (93) devoted to radio and television sets. Max Théret and André Essel created a purchasing consortium, Fédération Nationale d’Achat des Cadres, with a view to trading in a different way, and offering less expensive products to all audiences.